716 players started this $3,000 No-Limit Hold'em event. Over three days, many challengers emerged but it was John "Razor" Phan who ended up outlasting them all. It has been a long time coming, but John Phan has finally reached the top of the poker world with tonight’s win. 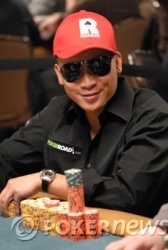 Phan will take home $434,789 and the coveted World Series of Poker bracelet. Congratulations to John Phan, Champion of the $3,000 buy-in No-Limit Hold'em event. Well it took plenty of show, plenty of heart, and a little gamble for John Phan to finally get the better of Johnny Neckar heads up at this final table to capture the title. This is John's first WSOP bracelet and it will certainly be one to remember for him and for everyone who was present to witness this absorbing contest. John takes home $434,789 for his win. Congratulations John! Johnny Neckar Eliminated in 2nd Place ($277,452); John Phan Wins! John Phan raised from the button making it 200,000 to go before Johnny Neckar announced he was all in. Phan made the call. Phan held the chip lead and the best hand as the flop was dealt . There was no help for Neckar as the turn landed . 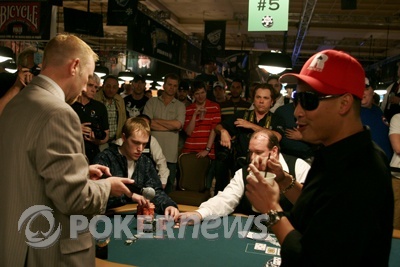 Needing a queen or jack on the river, Phan watched as the familiar fell on the river to the roar of the rail as John Phan wins his first WSOP bracelet! Johnny Neckar limped in from the button and John Phan raised it up another 150,000. Neckar called. The flop came and Phan checked to Neckar who fired out 325,000. Phan thought for a few minutes before making the call. The turn of was checked by both players. The river landed the and Phan bet out 500,000 forcing a fold from Neckar who is now down to 1,100,000. Both players flipped over one at a time. At this point, the crowd starts cheering as Neckar is playing the board. The seven played and Phan doubled up. After this hand, the two players agreed to play all in blind again. Same rules as last hand. The floorman informed the gallery, "No, we are no longer accepting buy-ins to this event." This time, Neckar's tournament life was at risk. Again, the players show one card at a time. Neckar doubled up through Phan. After these two wild hands, Phan had 2,800,000 and Neckar had 1,400,000. What a wild night that's going on here. The board ran out and Neckar spiked a pair to double up to around 2.4 million to take the chip lead! Welcome to the World Series of Poker! On a flop of , John Phan bet 160,000 into a 250,000 pot. Johnny Neckar made the call. The turn of the was checked around. Neckar checked to Phan when the hit the river and Phan bet out 450,000 chips relatively quick, at least quick for John Phan. Neckar made the call. Phan showed for a pair of aces and took down the pot. 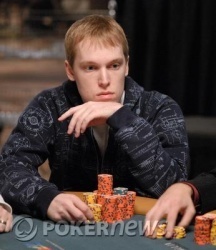 After the pot, Neckar is down to 1,120,000 in chips. John Phan raised from the button to 160,000 and Johnny Neckar made the call. The flop arrived and Neckar checked over to Phan who fired out a bet of 130,000. Neckar then announced a check-raise to 350,000. Phan went into the tank, as he does for every big decision, before tossing his cards into the muck. Neckar is chipping away at the chip deficit to try and pull things back to even ground. John Phan raised from the button and took down the blinds uncontested. He then flashed to his entourage and to Johnny Neckar who gave a wry smile. Maybe Phan is shifting gears, or perhaps is just trying to create that illusion?